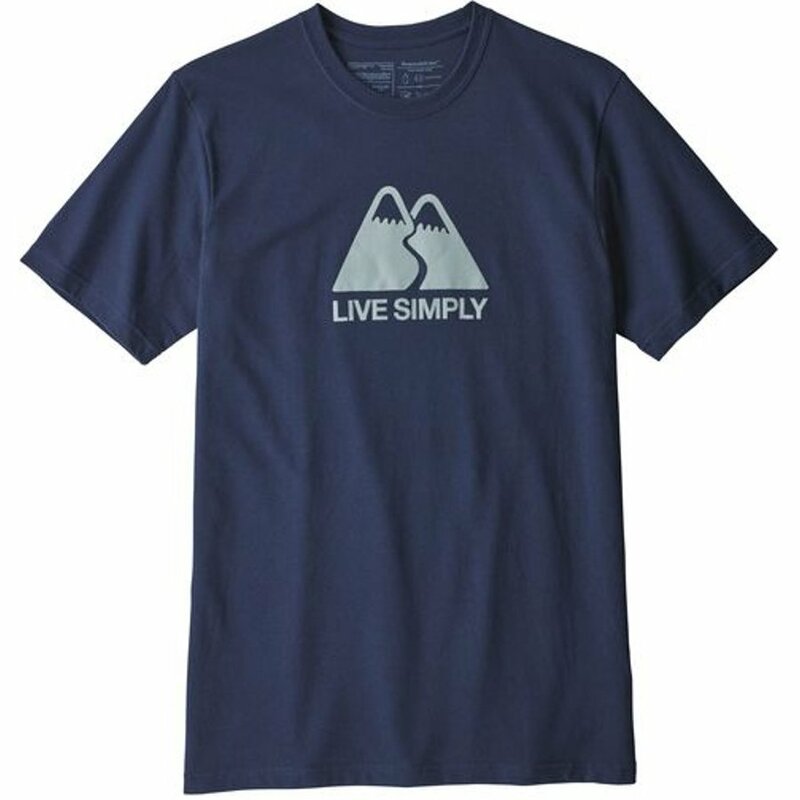 This Patagonia Winding Responsibili-tee features the ‘Live Simply’ design by Frank Ozmun on a comfortable, sustainable material that is officially bluesign approved. Each one is made with 50% recycled cotton combined with 50% postconsumer polyester from recycled sources. No polyester was produced to create this t-shirt. The artwork is screen-printed and is completely free of PVC and phthalates. The materials come from U.S. cooperatives, while the production itself takes place in a fair trade facility based in Yucatan, Mexico. There are currently no questions to display about Patagonia Live Simply Winding Responsibili-Tee - Classic Navy.